There are precedents for such a swap. In 2010, Washington acted quickly to trade 10 Russian deep-cover spies for four men the Russian government had imprisoned for “illegal contacts” with the West. There is also the example of Israel. In 2011, Israel freed more than 1,000 Palestinian prisoners to win the release of Gilad Shalit, an Israeli soldier captured by Hamas five years earlier. And yet — even after a November 2013 letter signed by a bipartisan group of 66 Senators urging President Obama to “act expeditiously to take whatever steps are in the national interest to obtain [Gross’s] release,” — the U.S. Administration refuses to negotiate. Why? Three words: Castro, Cuba, murder. Even for those who can get past the first two, the third is often, understandably, a show-stopper. 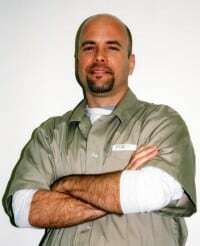 In 2001, Gerardo Hernández, the leader of the Cuban Five, was charged and convicted of “conspiracy to commit murder” in connection with a 1996 shootdown of two civilian aircraft over the Florida Straits that resulted in the deaths of four men. He was sentenced to two life terms plus 15 years in prison. How can the United States exchange a man convicted of conspiracy to commit murder for someone the State Department continues to insist did nothing wrong? It’s worth unpacking both sides of that conventional wisdom. Let’s start with the case of Gerardo Hernández. FBI agents had penetrated the Cuban network as early as December of 1996, and decrypted and translated the relevant messages well before the arrests. There are several possible explanations for the decision to escalate the case by tacking on the murder charge. They didn’t believe so. At the conclusion of the trial, they filed a last-minute emergency petition attacking the judge’s instructions to the jury and demanding she be prohibited from presenting them to the jury. During those instructions, Judge Joan Lenard had outlined the level of proof required to convict Hernández of conspiracy to murder. In a petition to the 11th Circuit Court of Appeal on May 25, 2001, the prosecutors threw up their hands. “In light of the evidence presented in this trial,” the petition declared, the judge’s instruction “presents an insurmountable hurdle for the United States in this case, and will likely result in the failure of the prosecution.” What the prosecutors were saying, quite simply, is that if the jury followed the judge’s instruction, they would have little choice but to acquit Hernández. If they followed the judge’s instruction… The Appeal Court rejected the prosecutors’ petition, but the jury convicted the Five on every single count, including conspiracy to murder. 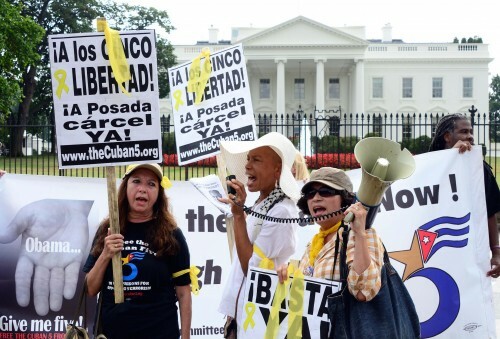 The truth is that — whatever their violations of the laws of the countries in which the two men were arrested — both Alan Gross and Gerardo Hernández are two more human victims of more than 50 years of failed American policy toward Cuba. Their continued incarcerations represent — for both sides — a major impediment to improving relations between the two countries. 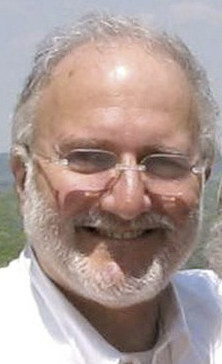 The Cuban government has expressed a willingness to discuss Alan Gross’s fate without pre-conditions. It is past time for the United States, which is ultimately responsible for Alan Gross’s failed mission in Cuba, to do the same. I went through this article thinking how well written it was, got to the end and learned the author is a Professor of Journalism — not surprising at all. Thanks to Dr. Kimber for enlightening us on this difficult issue.